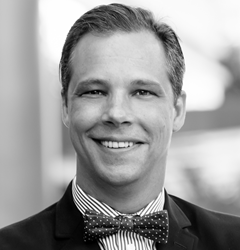 Haute Residence welcomes acclaimed broker Magnus Jennemyr to its invitation-only network of top real estate agents. As a Haute Residence partner, Jennemyr exclusively represents the high-end real estate market in Coconut Grove, Florida. As one of the top producing brokers in South Florida, Jennemyr specializes in luxury properties in Coconut Grove, Coral Gables and Miami Beach – be they waterfront homes, commercial investments, retail opportunities or vacation residences. With over 10 years of experience in residential and commercial agency and real estate investment sales, Jennemyr possesses the insight, resources and dedication to find the very best estates that fit his discerning clients’ needs. Jennemyr’s unmatched white-glove service rests on his understanding of how crucial home buying is – both financially and emotionally. But so is home selling. For home sellers, he provides complimentary analysis of how much a home might be worth without expecting a commitment. For Jennemyr, it goes back to fostering a community and helping others attain their dreams. He genuinely loves teaming up with colleagues and helping people irrespective of transaction and includes charitable donations and volunteering as part of the service. Always seizing a chance to give back to the community, Jennemyr is a major advocate for the impoverished and underprivileged. Native of Sweden, Jennemyr moved with his wife Chelsea to Miami and Coconut Grove in 2004 from London, UK after getting married in Coconut Grove in 2002. Prior to that, he had spent over 15 years as a successful leader in the financial and technology sectors overseas and traveled extensively across the globe. In 2006, Jennemyr decided that he needed a change of lifestyle with less work-related travel. With his international background and a hotbed for Real Estate in Florida it was a natural transition. He was quickly employed by Pointe Group Advisors and very soon became the Broker for Pointe Group Realty. In 2015, PGA was sold to Colliers International. Around the same time, Jennemyr successfully opened Select Realty Group to the South Florida and international market. Select Realty Group is a boutique real estate company, providing white-glove service to sellers and buyers in the residential and commercial markets and catering to its clients well beyond the transaction. Jennemyr enjoys the lifestyle balance of family, real estate, friends, community, sport, charity and fundraising.